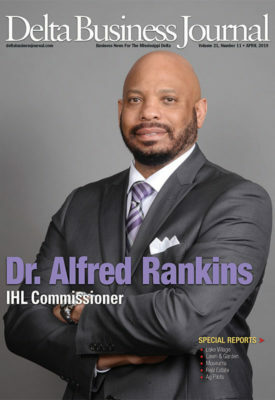 Greenville native Dr. Alfred Rankins Jr., who began serving as Commissioner of Higher Education for the Mississippi Institutions of Higher Learning (IHL) on July 1, 2018, got into higher education as a career almost by chance. After graduating from Greenville High School, he went to Alcorn State University where he earned a Bachelor of Science degree. Following that, he earned Master of Science and Doctor of Philosophy degrees at Mississippi State University. While a faculty member at MSU, Rankins taught undergraduate and graduate-level courses in the Department of Plant and Soil Sciences. As Commissioner, Rankins oversees the administration of the eight public universities in Mississippi. He had experience both as an academic and an administrator prior to being named Commissioner of Higher Education. He served as deputy commissioner of the IHL before being named in 2014 as president of Alcorn State University—his alma mater and the oldest land-grant Historically Black College and University (HBCU) in the country. 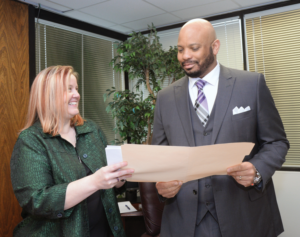 Earlier he also served as acting president of Mississippi Valley State University. David R. Shaw, vice president, Office of Research and Economic Development, Mississippi State University (MSU), was the major advisor for Commissioner Rankins on both his masters and doctoral programs. His experience in the system office and as a university president gives him unique insight into the strengths of the college system and what can be improved, said Trustee Shane Hooper, president of the IHL Board of Trustees. Commissioner Rankins’ strong leadership and wise counsel helps move Mississippi forward by educating students, serving communities and pursuing innovative research that contributes to economic growth and development, said MSU President Dr. Mark E. Keenum. “All of us at Mississippi State University are very proud of all that he has accomplished as an MSU alumnus and former associate professor in the College of Agriculture and Life Sciences and specialist with the MSU Extension Service,” Keenum says. Some of Rankins’ highest priorities as Commissioner of Higher Education include ensuring that all the state universities 1) maintain financial stability; 2) provide high quality and affordable postsecondary educational opportunities; 3) are recognized statewide and nationally for their significant contribution and role in advancing the state of Mississippi, and 4) partner with other state agencies and business leaders to attract more high skill jobs to Mississippi. Some of the biggest challenges he identifies include finding stable funding streams to support the operational and capital needs of the universities, attracting and retaining faculty, staff, and administrative talent, and meeting the growing support, facility, amenity, and programming demands of current and future students in a highly competitive higher education marketplace. In past years there has been discussion of closing some of the smaller colleges in the state in order to save money and consolidate programs. Rankins opposes closing any of the colleges, including the three HBCUs. Rankins is a strong advocate of the role of higher education as the solution to addressing the socioeconomic ills faced in Mississippi and to increase the state’s tax base. Making sure the investment students make in a college education pays off in the form of good employment opportunities is a focus of the college system. Rankins said they work with the business community to make sure they offer and adjust curricula and equip students with both hard and soft skills needed to meet the current and future human capital demands. Rankins is the first African American to serve as Commissioner of Higher Education in Mississippi. What influence does that have in inspiring African American students? He doesn’t know. 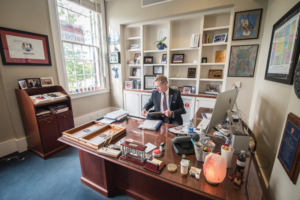 “I just come to work every day with the overarching goal of utilizing our strengths and improving our weaknesses to make our university system and state better,” he says. As the 19th president of Alcorn State University, Rankins focused on steering students at the university to excel in academics and athletics. 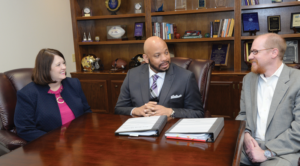 During his four years at Alcorn, he oversaw the university enrolling its largest freshman class in history, and increasing the average ACT scores of entering freshmen for three consecutive years. The university achieved it highest ever ranking by College Consensus as the #7 best HBCU and #1 best public HBCU in the nation. 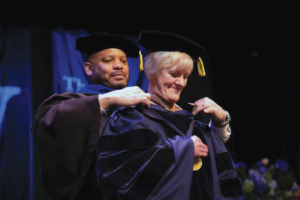 Rankins was also credited with helping the university establish new academic programs and making important discoveries through its research. Alcorn received national recognition for its commitment to the student experience. And, in athletics, Alcorn has won several conference championships and a national championship, while graduating student-athletes in record numbers. As president, Dr. Rankins was also credited with completing major capital projects and overseeing projects to improve campus infrastructure. In addition to the 1,700-acre Lorman campus, the university also includes branch locations in Natchez and Vicksburg. Rankins grew up in the Delta, and recalls his childhood in Greenville with fondness. He comes from a tight knit family. His role models are his parents, Mary and Alfred Rankins Sr., and his deceased maternal grandfather, George Lee White. Rankins said his family has always supported his career endeavors and are a source of inspiration for him. His main recreation is supporting and watching his teenage daughter, Aftyn, and teenaged son, Alfred, participate in their school athletics, and being involved in church activities with his wife, Juandalyn. Roger Stolle’s hometown of Dayton, Ohio, is just over 650 miles from Clarksdale, Mississippi; however, growing up in Dayton, he didn’t realize his heart was already deeply rooted in the soil of the Mississippi Delta. 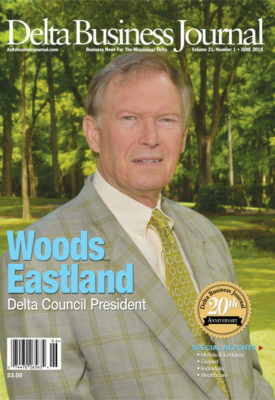 In 2002, he moved to Clarksdale, and his vision and efforts over the past seventeen years have had a significant impact on the town. During this time he has established one of the most unique blues and folk art stores on the globe (Cat Head); contributed to a worldwide blues radio show originating from Clarksdale on SiriusXM Satellite Radio; helped create the leading blues festival in the state (The Juke Joint Festival); spearheaded the movement of offering live music in Clarksdale seven nights a week all year long; authored books on the blues; produced documentaries and blues records by some of the Delta’s most noted practitioners; and he has taken these blues musicians across the world where they have performed at many of the most well-known blues festivals. 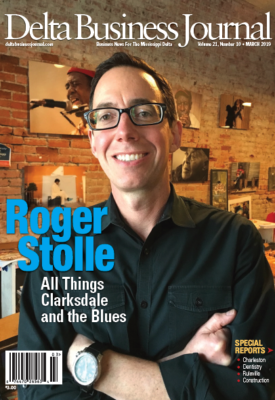 And along the way, Stolle has appeared in national magazines, newspapers, and on TV promoting Clarksdale and all things blues. His journey to this Mississippi Delta began on August 17, 1977. Stolle was ten years old, and before that moment, music had never entered his mind. From that moment on, he began listening to Elvis and the various Sun Records recording artists. His musical interests later expanded into rhythm and blues and rock music. But things changed when he stumbled scross the blues. That started a fire that still burns in him to this very day. Stolle made notes of the musicians Clapton mentioned, and then he looked for those artists. Specifically, Muddy Waters, Buddy Guy, Albert King, and Robert Johnson. Along the way, he realized rock acts like Led Zeppelin and The Rolling Stones were also covering old blues songs, and that led to more research. Music became an obsession during his teens. Then, when he enrolled at the University of Cincinnati, things kicked into high-gear. That is when Stolle finally had the opportunity to see live blues at a club called Bogart’s as well as a club back in Dayton called Gilly’s. He saw performances by Buddy Guy, Bobby “Blue” Bland, Little Milton, R.L. Burnside, and others. After graduating from UC in 1989, Stolle landed a job as a copywriter in the advertising department of Elder-Beerman—a regional department store chain that produced their marketing needs in-house. Stolle worked in every area of the department. That experience was invaluable to his career. 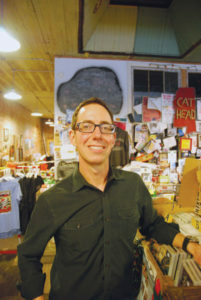 By mid-1998, he was managing the entire department at Elder-Beerman that consisted of writers and graphic designers. In July 1998, he joined May Company where he managed a department of fourteen graphic artists, production artists, production coordinators, and he oversaw other marketing positions. May Company provided branding for May’s department store chains, including Famous-Barr and Lord & Taylor. Because most of the items were manufactured in Hong Kong, Taiwan, or Eastern Europe, Stolle regularly travelled overseas for meetings, inspections, and packaging approvals. And while he continued honing his marketing skills for his job, on the side he also continued studying the blues and regularly flying from St. Louis to Chicago to attend performances by most of the country’s iconic blues artists. Yet, until he moved to St. Louis in 1995, it had not occurred to him to skip the fountain and go straight to the well. It took moving to within five hours of Clarksdale for that to happen. Stolle’s refers to his first trip to the Mississippi Delta as “the dead man blues tour.” He thought the music and the people behind it had died long ago. On that first trip, he had planned to visit grave sites and walk where his musical heroes had once walked. But, moving to Clarksdale would mean leaving a secure job on the executive level at one of the most prominent businesses in St. Louis. 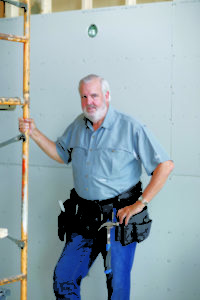 Stolle spent a year preparing for the move, and in May 2002 with a business plan firmly in place, he move and became a full-time resident. 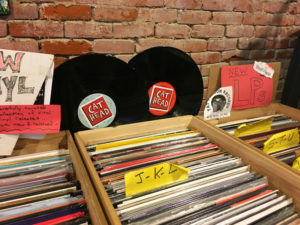 By July of that year, Stolle had opened Cat Head. From his previous trips, he knew several of the town’s leaders such as Bubba O’Keefe, Bill Luckett (co-founder with Morgan Freeman of Ground Zero Blues Club), Sarah Moore (Sarah’s Kitchen), John Ruskey (Quapaw Canoe Co.), Maie Smith (Delta Blues Museum), Panny Mayfield (Sunflower River Blues Festival), and Terry “Big T” Williams (blues guitarist). Stolle knew that it was next to impossible to claim to be something, i.e. Crossroads of the Blues, without exactly being that. All of the pieces were there — old buildings, blues musicians, Delta characters, blues history, and a trickle of what Stolle called the two-hour visitor. Stolle will never forget attending a public meeting at city hall shortly after moving to town. At the city hall meeting, a man stood and said, “blues ain’t gonna save our town.” He also added, “and I’m tired of hearing about the blues.” Stolle wondered if the man’s comments represented how many felt. Stolle was convinced Clarksdale could become the blues town in Mississippi and perhaps the South. The first step was making sure live blues music was offered every night of the week, and at the same time several blues festivals needed to be created to bring in the larger tourism numbers and worldwide publicity. If this could be accomplished, it would lead to more money coming into community. In 2003, Stolle began booking music for Ground Zero Blues Club. He worked closely with Luckett to expand Ground Zero’s musical offerings to four nights a week—Wednesday through Saturday. At the same time, he also worked with Sarah Moore at Sarah’s Kitchen to better publicize her sporadic Thursday night music offerings. He then partnered with Red Paden to make his juke, Red’s, a more predictable blues venue that began to feature music every Friday and Saturday. After organizing Wednesday through Saturday with at least one blues show per night in Clarksdale, the next bridge to cross was offering live music during the remainder of the week. Fortunately, Art and Carol Crivaro moved to Clarksdale from Florida and opened Bluesberry Café and one of Stolle’s music-playing Cat Head employees, Sean “Bad” Apple from Pennsylvania, agreed to perform on Monday nights at the cafe. Their goal was to capture visitors who were passing through Clarksdale after a weekend in Memphis or New Orleans. “It took a while for it to catch on, but for years now, Monday nights are jamming at the Bluesberry Cafe,” says Stolle. A short time later, Stan Street moved to Clarksdale from Florida and opened Hambone. Street decided to offer music on Tuesday nights, and now that is one of the more exciting nights in Clarksdale. Today, Clarksdale offers live music every night of the year. While the nightly musical offerings have helped build Clarksdale’s brand and brought in visitors, the creation of the annual Juke Joint Festival has taken that brand worldwide. Today, it is one of the most well-known blues festivals in the world. Leading up to the creation of the festival, Stolle says he and O’Keefe would sit for hours and brainstorm about what they could do to bring back the town through blues and cultural tourism. First National Bank in Clarksdale agreed to give O’Keefe a loan to help finance the festival and in April 2004 the first Juke Joint Festival was launched with only a handful of day stages and five venues at night that offered live music. Vendor tents the first year totaled fifteen in all. As a comparison, in 2018 the Juke Joint Festival offered thirteen stages of live music during the day and twenty-two venues at night that featured one hundred bands. Just under one hundred vendors also displayed their items last year. Now, over 7,500 people attend the festival each year and hotel rooms in Clarksdale are booked a up to two years in advance. And where are people coming from? During the 2016 festival, volunteers canvased the crowd, and their research revealed attendees had come from twenty-eight foreign countries, forty-six states and fifty-four counties in Mississippi. Stolle says ‘Juke Joint’ has become a regular phrase in daily conversations about downtown revitalization and new festival events. 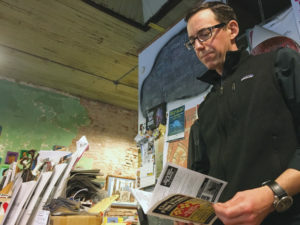 “Several of our modern downtown businesses point to it as a factor in their decision to open up in a tired, old downtown that most had given up on,” he says. And while he and O’Keefe felt they could produce a respectable blues festival, they also wanted to create an event the local non-blues families would also attend. Toward that end, O’Keefe suggested the festival should include some “small-town fair” offerings. Then, Stolle and O’Keefe heard about monkeys riding dogs herding sheep over in Pontotoc. 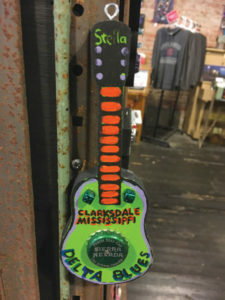 The early business plan created by Stolle and a handful of others back in May 2002, has worked and Clarksdale is a far different town today than it was when Stolle first arrived. At least thirty-five overnight apartments are now located downtown as well as the new twenty-room Traveler’s Hotel. The Auberge Hostel, where Madidi restaurant was located, is soon to open, and many of the spaces that were empty back in 2002 are now filled with businesses. Other offerings include the popular Shack Up Inn just outside of town that has grown from six shacks to sleeping up to a hundred people several nights a week and Clarksdale’s three-year-old Hampton Inn is constantly fully booked. Renovations are underway to refurbish the old Rodeway Inn, and at least six or seven restaurants are now open in downtown Clarksdale that didn’t exist in 2002. 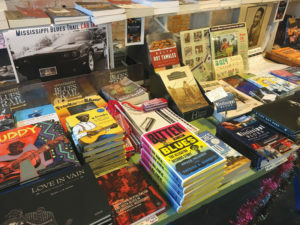 The Delta Blues Museum has undergone expansions over the years, and it continues to anchor Clarksdale in many ways. Like Stolle, others who were once visitors have fallen in love with the town, and seeveral have moved there from California, Seattle, Portland, Oklahoma, Chicago, New York, New Orleans, Boston, Maine, Florida, Australia, England, and from other distant places. As designed, the music came first, and the infrastructure followed. That comment at the mayor’s meeting, “Blues ain’t gonna save our town,” obviously fell on deaf ears. Chris Caldwell developed a passion for public service at an early age. He grew up on his family’s cattle ranch located just outside of Little Rock. There, he gained a strong sense of duty and learned the importance of getting involved in his community and working to make a meaningful difference in people’s lives. Today, Caldwell applies the lessons he learned from the campaign trail to his role as federal co-chairman of the Delta Regional Authority (DRA), where he serves more than ten million residents in 252 counties and parishes in DRA’s coverage area. It is a large territory, but since his appointment by President Donald Trump just more than a year ago, Caldwell has logged tens of thousands of miles traveling across DRA’s eight-state footprint: Alabama, Arkansas, Illinois, Kentucky, Louisiana, Mississippi, Missouri and Tennessee. An early introduction to politics motivated Caldwell to take leadership roles in U.S. Senate campaigns and the presidential campaign of former Arkansas Governor Mike Huckabee. Before being appointed by President Trump, Caldwell successfully managed U.S. Senator John Boozman’s re-election campaign in 2016. More important than campaign work, Caldwell was in charge of all Arkansas projects for Boozman. 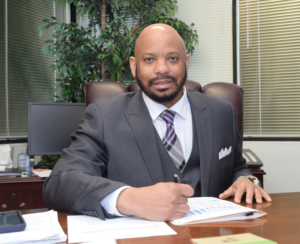 Building on what he learned as a youth, Caldwell gained even more insight about listening to and meeting the needs of folks from all backgrounds and parts of the state. Understanding and serving the needs of people living in the Delta region is at the heart of DRA’s work. The agency invests in four primary areas as outlined by Congressional statute: basic public infrastructure; transportation infrastructure; workforce training; and business development. Boozman noted that Caldwell has a passion for working with others. President Trump’s budget called for eliminating the DRA (and dozens of other programs), but Congress continued to fund it. Strengthening relationships with the agency’s congressional delegation, as well as state governors, has been a priority for Caldwell and the DRA staff. 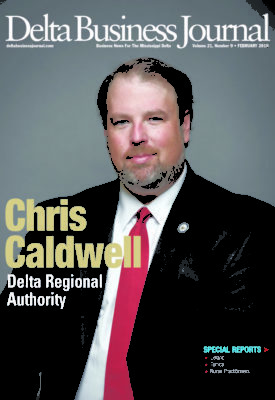 Caldwell has put his mark on the agency by working to streamline operations, allowing DRA to make sure its budget is dedicated to investments that help Delta residents and communities. In the Delta, there is a significant shortage of welders, electricians, plumbers, truck drivers, linemen, and people who work on transport barges on the Mississippi River. These are professions that require skills training. And while there is low unemployment now nationwide, there is a disproportionate number of Delta residents are underemployed or unemployed. 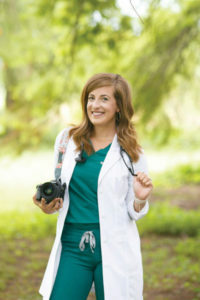 Under Caldwell, DRA has focused on improving the health of Delta residents by modernizing and expanding rural healthcare facilities and working with the Department of Defense (DOD) on the Innovative Readiness Training program, which provides essential training for our armed forces and care for Delta residents. The agency also placed 163 doctors in rural areas of the region to help advance medical care in 2018. Population loss in rural areas is of major concern in the Delta. One way DRA is tackling that problem is to increase access to broadband. In December, DRA invested $1 million to deliver broadband service to eight counties in the Missouri Bootheel. In 2019, DRA will emphasize working with federal partners to strengthen apprenticeship programs, which will help with job opportunities across the region and support a key economic-development opportunity identified by President Trump. Caldwell understands it is important to keep re-evaluating the work DRA does to make sure it continues to create job opportunities and give communities the tools and infrastructure they need to retain the businesses they have and attract new industries. 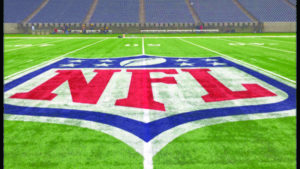 If you happen to be among the estimated 172 million people who viewed the Super Bowl in 2018, then you saw playing field graphics that were created by a small, family-owned company in Leland named World Class Athletic Surfaces. That same company makes the paint and stencils for many other major sporting events including the Major League Baseball All-Star Game, the World Series, and for numerous top college programs. The Super Bowl is one of the largest productions throughout all sports, says World Class owner Tra DuBois. The speed with which the stencils are made and shipped are just two advantages that make World Class stand out from competitors. Not only do the graphics looks sharp and beautiful, but the paint is non-toxic to players, the grass, and the environment. 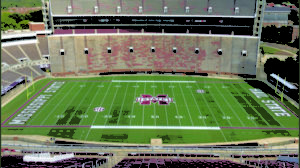 Aside from having the best athletic field marking products on the market, their customer service is second to none, said Brandon Hardin, Sports Turf Superintendent, Mississippi State University. Philadelphia Eagles Director of Grounds Tony Leonard said from start to finish, the team at World Class does an excellent job working to get the right stencil created for their customers. Leonard said the quality of products and stencils World Class supplies is top in their industry. When he was young, DuBois wanted to be a tennis pro. One thing he noticed during those years is that none of the sports surfaces were made in the South. And he knew at some point in time he wanted to move back to Mississippi. 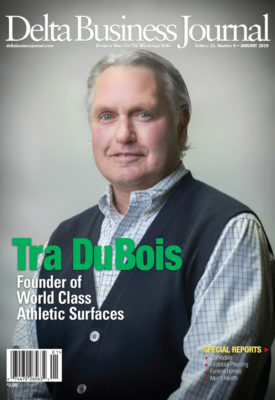 DuBois decided if he was going to make athletic surfaces, he wanted to have a company superior to any others. In addition to being non-toxic, DuBois wanted the colors to remain bright. Early on in developing white paints for football fields, he would notice that the white paint looked dull. The chemists he was working with said he couldn’t put any more white pigment in the paint. After others saw how great MSU’s fields looked, World Class got called by the University of Alabama and it grew throughout the Southeastern Conference (SEC). When they started doing the same thing for the NFL, their customers started asking if they would provide the stencils for the paintings, too. When they started, World Class was doing stencils with an overhead projector on a 15- to 25-foot wall, putting plastic up and tracing. It took several days to complete an end zone. They did it that way for a couple of years when a chance conversation on an airplane gave DuBois the clue to improved stencil making. His seatmate was in clothes manufacturing. They used a cutting table system for their patterns. That gave him the idea to look at cutting tables for stencils. “When I got back home, I started researching cutting table machines to computerize stencil cutting,” DuBois said. “It was so simple and so easy. The stencil machines reduced prep time from a few days to 1.5 to two hours.” The stencil table and process have since then been patented. 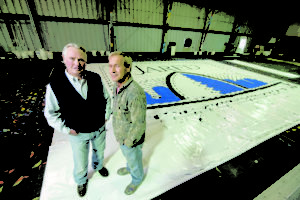 DuBois credits his customers with helping perfect the process and product. 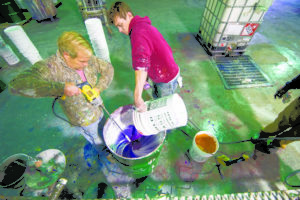 “If you are giving them a great product, the customers teach you where to go,” he said. World Class has been in business now for thirty years. Everything is still manufactured in Leland. The company employs 15 people, including a number of family members. His wife, Margaret, is business manager. Her son, Scott Cox, heads the stencil department, and DuBois’ son, John, works in the stencil department. DuBois’ brother-in-law, Greg Narmour, is vice president. Narmour, part of the company for twenty-threeyears, said it is “kind of crazy” to think that a company based in a Mississippi Delta town of only 4,500 people has provided products for the Super Bowl for the last 18 years. Narmour said having the best products in the industry is important, but it also comes down to taking care of customers. There is some kind of sporting event nearly any time of the year that World Class is involved with. In the fall after they finish the World Series playoffs field art, they start getting ready for bowl games and national football championships. Then there is a big national trade show with the Sports Turf Managers Association in January, following by baseball, soccer and spring sports. DuBois is modest about the success of the company. He also credits being involved early on with helping organize the Sports Turf Managers Association. When he started, there were thirty members. Now the STMA has grown to almost 3,000 members coast-to-coast. There are about 190 exhibitors are their conferences. When DuBois isn’t working, he enjoys going to his farm in the Delta, and hanging out in the woods. In addition to sports, he has a great love of music. When he travels, his friends know to be on the outlook for a good music venue. “I’m a jazz nut, but I like rock and roll, too,” he said. 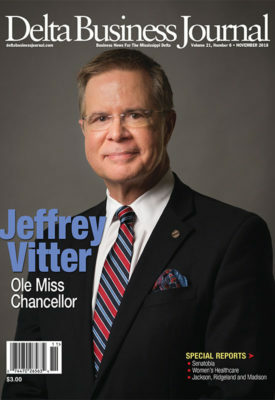 Alot has happened in the almost three years since Dr. Jeffrey Vitter took the helm as Chancellor of the University of Mississippi. Ole Miss is the Flagship University of the state, considered the best-known college in the state with the largest enrollment, just over 23,258. With an annual budget of $2.5 billion, it is also an economic powerhouse. • In fiscal 2018, external research funding on the Oxford campus was up twenty-three percent, and overall at the university it was up 8.5 percent to a total of $134 million. • Total fundraising for the Oxford campus in 2018 was up almost 8 percent. 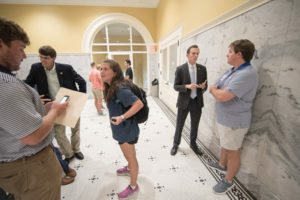 Private donations across the university were nearly $117 million, the seventh year of more than $100 million, which helped the Ole Miss endowment climb to a record high of $715 million. • About $1 billion in new construction has recently been completed, is underway or is planned. • Ole Miss has been named the twelfth fastest-growing university in the country in the past decade. • Economic development through entrepreneurship and technology commercialization continues to bear fruit. The nineteen-acre Insight Park is home to twenty-one companies, several based upon technology developed at the university. The university has more than 100 commercial agreements with companies. • At the state’s only academic medical center, the University of Mississippi Medical Center (UMMC), new space is being opened for clinical trials and translational medicine in order to take promising ideas and move them into practice. UMMC is a top healthcare provider in the state with more than one million patient visits annually. Vitter is a major proponent of the transformative ability of higher education to empower students to have meaningful lives and livelihoods while making the world a better place. 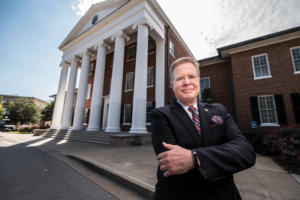 Under his leadership, Ole Miss has implemented the Flagship Forward strategic plan. The University of Mississippi has earned the Carnegie R1 Highest Research Activity designation, held by only the top 2.5 percent of colleges and universities nationwide. 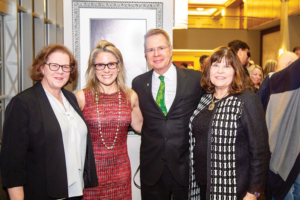 Vitter said that such a designation means that the university excels in innovative research, and what is particularly exciting is when those innovations can be further developed into practical technologies, treatments, or cures. 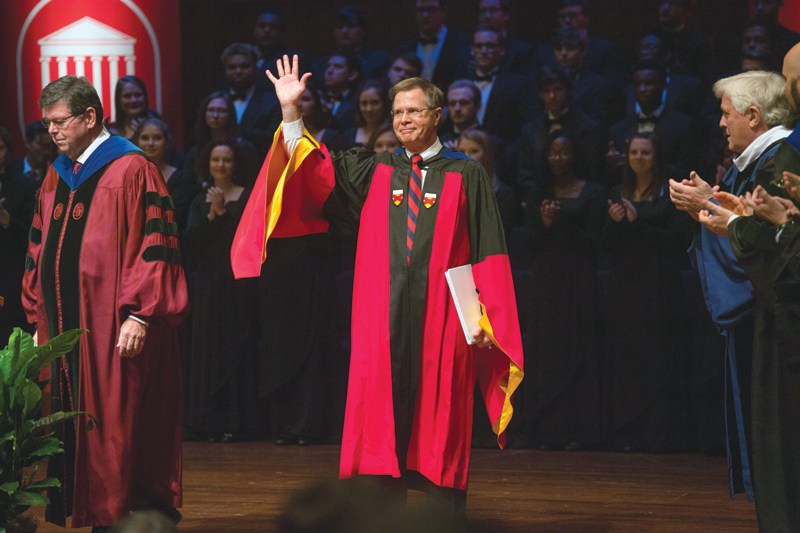 Jeffrey S. Vitter was inaugurated as the 17th chancellor of the University of Mississippi on Nov. 10, 2016 during an investiture ceremony at the Gertrude C. Ford Center for the Performing Arts. Photo by Kevin Bain/Ole Miss Digital Imaging Services. “Effective treatments and cures are what our world desperately needs, and we are leading the way in research on the diseases like Alzheimer’s and diabetes that impact Mississippians most,” Vitter says. In addition to the main UMMC campus in Jackson, the university operates hospitals in Lexington and Grenada, and has partnerships elsewhere in the state. UMMC is one of only two entities in the country to have a National Telehealth Center of Excellence Designation for providing medical care in rural areas without doctors. UMMC has the only Level One Trauma Center in the state, is a major organ transplant center, and operates the only children’s hospital in Mississippi, Batson Children’s Hospital in Jackson. 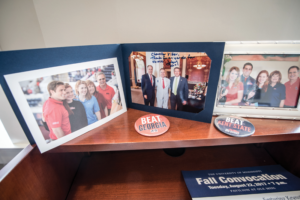 Special moments captured and on display in the Chancellor’s office. visits the Delta often, and just recently spent time at the Delta Council and the Delta Health Alliance to learn about opportunities for further collaboration. The university is closely involved with the U.S. Army Engineer Research and Development Center in Vicksburg on some applications of pioneering research done at Ole Miss. Recent lean budget times for Mississippi have resulted in cuts to higher education. For Ole Miss only one out of every $8 in operating revenue comes from state appropriations. Vitter says that Ole Miss works hard to ensure access and affordability, particularly for Mississippi students. Its tuition is among the lowest in its peer group. It is hard to imagine how much Oxford and Ole Miss have grown in recent years. Thirty years ago, there wasn’t even a McDonald’s in town, and only a few restaurants. Fueled by Ole Miss, the population of Oxford grew 24.3 percent between 2010 and 2017 alone. Sharon and Jeff Vitter host the Columns Society for an etiquette dinner at the Carrier House. With such rapid growth, Vitter says they “tapped the brakes” on student enrollment to help catch up the infrastructure. This present school year, enrollment dipped by two percent. But that has to be contrasted with enrollment growth of 27 percent over the past decade. A lot of the focus in the strategic plan is on synergies across different academic areas. Another approach is the program M Partner (MPartner.OleMiss.edu), which involves working with community partners in Mississippi to build a sustainable vibrancy in those communities. It provides students the opportunities to practice what they learn in the classroom by volunteering with communities in collaborative projects. M Partner has projects in its initial cohort of community partners: New Albany, Charleston and Lexington. 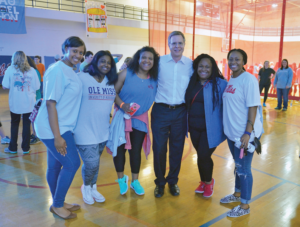 Ole Miss alumna Rose Jackson Flenorl, Manager of Global Citizenship at FedEx Services, appreciates the audacious goals set by Vitter. Vitter learned early on the value of higher education. A native of New Orleans, La., his parents Audrey and Albert “A.L.” Vitter Jr. managed to earn graduate degrees and raised six children. Growing up in New Orleans gave Vitter unique cultural experiences. Vitter graduated with a B.S. with highest honors in mathematics in 1977 from the University of Notre Dame, earned a Ph.D. in computer science in 1980 from Stanford University, and an MBA in 2002 from the Fuqua School of Business at Duke University. Vitter experienced a meteoric rise in academia. 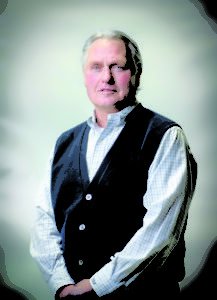 From 1980–1992, he rose through the ranks to leadership roles in the Department of Computer Science at Brown University. From 1993–2001, Vitter was Chair of Department of Computer Science at Duke University. From 2002–2008, Vitter was the Frederick L. Hovde Dean of the College of Science at Purdue University. In 2008-2009, he was Provost and Executive Vice President for Academics at Texas A&M University. From 2010-2015, he was the Provost at the University of Kansas. their three adult children, who, like their dad and eight other members of the Vitter family, graduated from the University of Notre Dame. 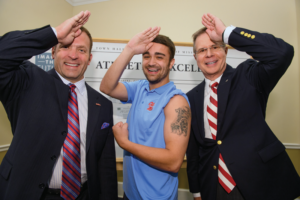 Vitter said being at Ole Miss gives him and his wife opportunities to attend great performances, go to a variety of athletic events and to hear a number of stimulating talks by our faculty, visitors and other illuminati in the area. they joined the Ole Miss family. 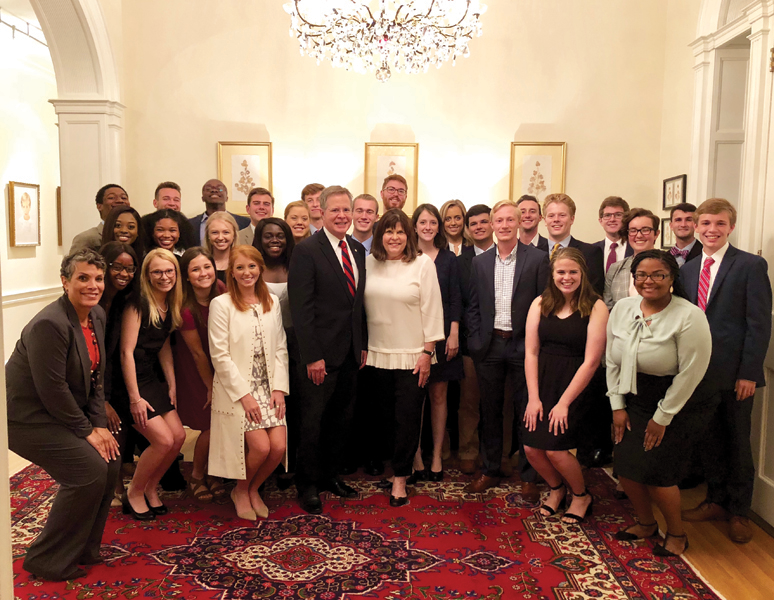 Sharon Vitter said what impresses her about Ole Miss is that people are so passionate, not just about athletics, but about all aspects of the university. Despite his busy career, he always had time for their children when they were growing up. She also said he is very passionate about making a difference through education. At the same time, he is methodical and even tempered, which allows him to evaluate and discuss challenging subjects and events that take place on campus. 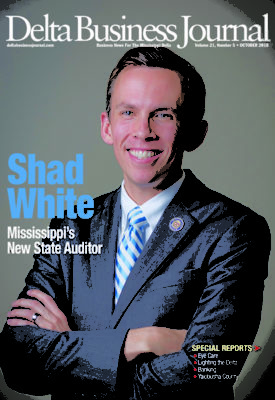 Mississippi’s newest and youngest statewide office holder, Shad White, thirty-two, appointed as State Auditor by Gov. 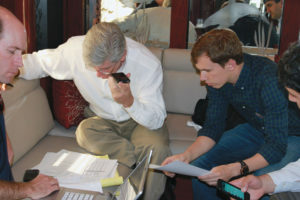 Phil Bryant recently after the resignation of former State Auditor Stacey Pickering, grew up in the small town of Sandersville, which is located near Laurel. His family sometimes struggled to put food on the table, but gave him a firm foundation in the values of faith, hard work, discipline and diligence. After strenuous work summers with his father and grandfather in the oilfields of Jones County, White set his sights on law school. After earning a B.S. 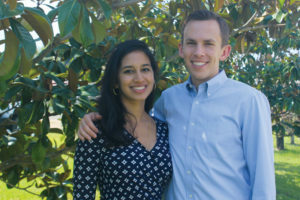 in economics from the University of Mississippi, he went on to experience very different cultures while earning graduate degrees from two of the top universities in the world: The University of Oxford in England and Harvard University. The prestigious Rhodes Scholarship is awarded each year to only thirty-two people. He also appreciated the opportunity to interact with people from all over the world. He was often in the company of extremely bright people with strong beliefs. White found many people in England were left of center. But he also appreciated they were very cordial and willing to engage in conversations with people who had opinions. Largely, there were not a ton of negative perceptions about Mississippi. While at Harvard Law School, White was president of the Federalist Society, a conservative legal association, and brought speakers to campus to discuss topics such as the legality of public prayer, the morality of work and free enterprise, and the importance of traditional moral values. White also got involved in politics early on. In 2011, he was deputy campaign manager for then-Lt. Gov. Phil Bryant. In 2015, he was campaign manager for Bryant’s gubernatorial election campaign. He has also worked in private practice as a lawyer, was a special prosecutor in Rankin County, and was a fellow at a national think tank on state policy at the Pew Charitable Trust. White earned a certificate in forensic accounting from the University of North Carolina at Charlotte. 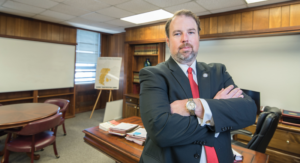 He was director of the Mississippi Justice Institute where he worked on cases against public officials who violated Mississippi’s open government and ethics laws. 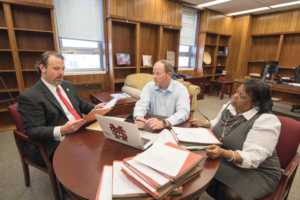 He considers the work at the Mississippi Justice Institute good preparation for his current job as State Auditor. Gov. Bryant, a former State Auditor himself, feels he found an ideal person to serve in the office. White’s late grandfather, Charles White, played a big role in his life. His grandfather spent his life working very hard for not a lot of money. His father, Bob White, was alderman for many years before becoming mayor of Sandersville. White wants to make sure hardworking people have their tax money spent wisely. White’s parents also set an example of the importance of church. His father is minister of music at their church. His mother, Emily, a school teacher, played the church organ for years and is now in the church choir. White and his wife, Rina, are members at St. Richard Church, Jackson. The Whites’ favorite weekend getaway is to visit the Delta. John Lundy grew up on a farm in Tribbett, a small community outside of Leland, where his dad was farm manager. His backyard was 1,000 acres of cotton. He loved ag, and got his degree in ag economics from Mississippi State University (MSU). He would never have dreamed in his early days of a career in politics. But he ended up working in Washington D.C. rising in the ranks to become Chief of Staff for Sen. Trent Lott, who at one time was one of the most powerful politicians in the country serving as Senate Majority Leader. Today, Lundy is a partner in Capitol Resources in Jackson, one of the top state and federal lobbying firms in the South, with offices in nine states. One of Lundy’s best friends is Dr. Mark Keenum, president of MSU. The two met while attending Mississippi State, but really got to know each other when Lundy was Chief of Staff for Lott and Keenum was Chief of Staff for Sen. Thad Cochran. Lundy worked for Sen. Lott at a time when bi-partisan cooperation in Congress got a lot of things done. 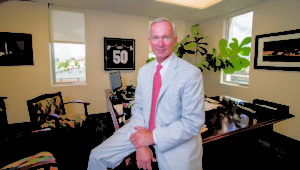 Lundy started working for Lott in 1990 as he began to move up in the leadership. Things that stand out about that period of Lundy’s life include being able to help constituents back home. While he lived in Washington, Lundy enjoyed coming home, particularly in the fall. Lundy graduated from Washington School in Greenville and attended Mississippi Delta Community College before finishing his degree at MSU. While his parents taught him the importance of voting, he had no interest in politics. When he graduated, he went to work at the Mississippi Agriculture and Forestry Experiment Station in Stoneville. Farming in the late 1980s was tough. Looking back on it, his best memories are of meeting a lot of good people and trying to help them with some of their farming problems. After working for Espy for three years, he went to work for another member who also served on the House Agriculture Committee, Rep. Larry Combest, R-Texas, for about a year until Trent Lott was elected to the Senate. 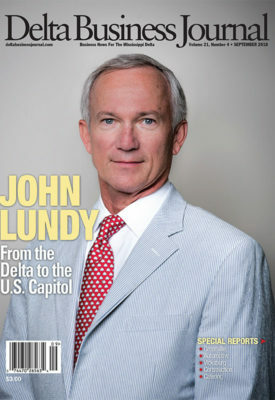 Lott’s Chief of Staff had moved back to Mississippi and Lundy was tapped for the job. The woman he ended up marrying, Hayley, worked for Sen. Lott before Lundy did. They had been married about five years and had their first child. They decided after eleven years in Washington, it was time to go home. While lobbyists are getting some bad press lately with the Michael Flynn and Paul Manafort scandals, Lundy says there are thousands of registered lobbyists, and there are always going to be bad apples in any profession. Lundy finds it helpful to work with clients he understands and agrees with on the issues. Lundy still has family ties in the Delta. He often visits his father, B.C. Lundy, 92, who lives in a retirement home in Greenville. And Lundy still goes back during harvest time where he will drive a cotton picker or combine on one of his friend’s farm. The couple now have three daughters, Eliza, 21, a senior at Ole Miss, Anne Marie, 17, a senior at Jackson Academy who plans on attending MSU when she graduates, and Mary Gibson, 14, a 9th grader at Jackson Academy. Lundy enjoys hunting and fishing, and tries to find time to play golf. There is an old saying, “If you want something done, ask a busy person to do it. The more things you do, the more you can do.” That might fit the bill for a number of business people in the Delta who manage to juggle full-time jobs with side businesses. Morgan Wheeler is very passionate about both of her careers. Wheeler works for Advance Physical Therapy in their outpatient facility inside North Sunflower Medical Center in Ruleville, and when necessary the swingbed unit and nursing home. She is also the evaluating occupational therapist at Delta Rehabilitation & Health Center of Cleveland. Wheeler bought into KutWorks in October of 2011. It’s obviously very stressful at times. Wheeler, joking that she must really want to test her stamina, opened a second store, Mod & Proper, in downtown Cleveland in late July. This venture is with her mother, Martha Wheeler, and Mary Beth Smith. Brannon Walls manages to fit in teaching at his TurnRow CrossFit in Indianola both before and after working as a nurse circulator in surgery at the South Sunflower County Hospital in Indianola. Growing up he played football, baseball and soccer and was in the choir. There was always something going on, so that was just normal life. 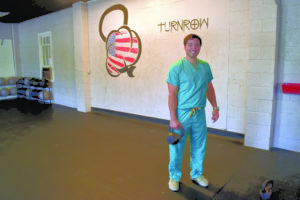 He opened TurnRow CrossFit in April 2015 while he was in nursing school. Prior to that he worked as a fitness specialist Baptist Healthplex at Mississippi College. He graduated from Mississippi College with a B.S. in kinesiology. He first heard about CrossFit in 2012. Then he moved up to Indianola for nursing school in 2013. He and his wife, Ann Shelby Walls, also own Tin Can Shaved Ice, which is a snowball stand operated out of a 1973 Airstream. They do that in the summertime. They also own The Perch Flowers and Gifts. 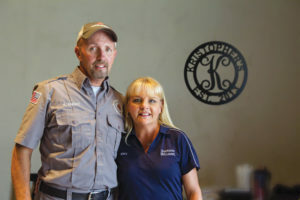 Another dynamic business couple is Mary and Kris Knight in Yazoo City. Mary has been manager of Sherwin Williams for more than 20 years and Kris has been a general maintenance supervisor at Federal Correctional Complex in Yazoo City for 20 plus years. The Knights had a food vending trailer for five years before opening Kristopher’s Seafood in Yazoo City June 8. They started selling in February of 2013, and had a blast selling out of the small trailer. They had so many requests for shrimp and crab that they decided to add that to their menu as well. They said “of course” there are challenges as there is with anything worth doing. The main one is not having enough hours in a day to do everything that needs to be done. Still, they say the rewards of knowing they are doing it to build their own business, outweighs it all. Another Deltan who wears more than one business hat is Judy B. Nail, PHR, SHRM-CP, human resource director for Staplcotn, Greenwood, who has been employed by Stalpcotn for 30 years. She said she didn’t need a second income but was looking for a new outlet for her creativity. Nail said Painting with Friends has been a blessing to her life. “I had my fifth-year anniversary on July 15th, so that makes me really happy,” she said. She said as one of six children to a loving mother, she was raised with a great desire to care for and love others. She finds the biggest challenge finding the time to balance family life, work life, and her creative life. However, she has found the most joy and fulfillment when these three are balanced because she feels like she is truly living her calling of serving others all while representing the best version of herself. 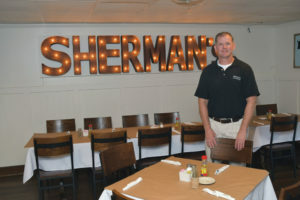 Peter Nimrod, chief engineer, Mississippi Levee Board, also works with his wife, Allison, to own and manage Sherman’s Restaurant in Greenville. Charles Sherman, Sr. opened Sherman’s Grocery Store in 1947. In the 1970 he added a deli in the back of the grocery store which served sandwiches and hot lunches. In 1978 Charles Sherman. Jr. bought the store from his father. In 1985 Charles closed down the grocery store and converted it to a restaurant. Sherman’s Restaurant open its doors in 1985 as a full-service restaurant. Nimrod loves his job as chief engineer of the Mississippi Levee Boar and admits that owning and running a restaurant is very demanding and non-stop. Brother Danny Smith has been minister at First Baptist Church of Tunica since May 1998, and for 20 years also served as Municipal Chaplain for the Town of Tunica. The things he likes best about his job, or calling, are the opportunities to serve people in a local congregation and community by preaching and teaching the Bible, building relationships, and engaging in Gospel conversations that are relevant to the need of the moment. 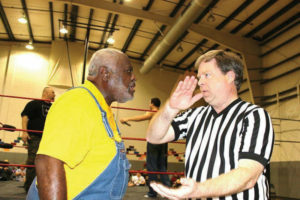 He also has a sideline business as a referee for wrestling matches. He really enjoys the work because of the people he has met in the business, the excitement of the fans, as well as the fundraisers he has participated in for community and Gospel mission needs by working with faith-based and family-friendly promoters. People are surprised when they find out that he referees “on the side”, but those who are wrestling fans tell him it’s cool. Fans, talent, and promoters are also surprised when they find out that he is a preacher. 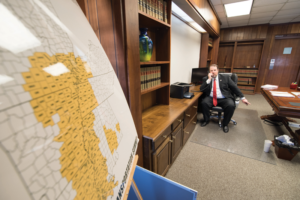 Attorney Bill Luckett of Clarksdale has received wide attention for all his business enterprises. The Economist, one of the leading business publications in the country, did a story about his many different professions on June 11, 2016. “After that story came out, I got emails from people all over the world,” said Luckett, a former Democrat candidate for governor and Clarksdale mayor who is an entertainment lawyer, an actor, a developer, and businessman operating high-profile businesses like the famous Ground Zero Blues Club. A six-page article titled “A Life in Motion, Reflections on the Southern Film Industry”, just appeared in the nationwide magazine Good Grit. On Father’s Day he finished filming with John Travolta. Morgan Freeman, his business partner in Ground Zero, is in that movie as well. Luckett calls acting his “new career.” He has been in 12 feature films. “Why do I have a bunch of careers?” he asks. “I’m a person who is really curious and I like challenges. I grew up wanting to know how things work. I like to know what makes people tick. 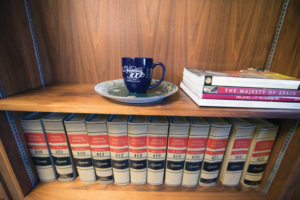 After I was unsuccessful in the run for governor in 2011, I jumped into a new area of law practice, entertainment law. In the process of doing that, film people would say they needed someone to play a judge or a lawyer. I’ve also played a news anchor, a pickup truck driver, a diner chef, a senator, a heckler in a crowd, a lawyer, and a coroner. I was offered a role as the ‘good colonel’ on upcoming movie on William Faulkner. Travis Mills directed me in a movie called “Son of a Gun”. Luckett has been involved in a lot of adaptive reuse, preserving old buildings by repurposing them. An example is the converting an old furniture store to Madidi Restaurant, which operated from 2000 until 2012. Then it was converted into a dorm. One of his favorite projects was renovating the Bank of Lyon, vacant for 50 years, into eight apartments. The Ground Zero Blues Club building was a wholesale grocery and cotton company and now is a night club with eight apartments upstairs. 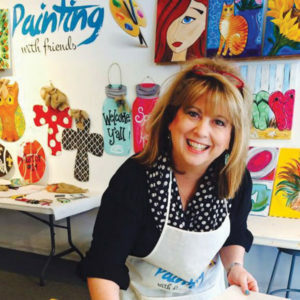 There is always something interesting and fun happening in Greenwood and, in many cases, you will find that Beth Williams is involved. Williams is the new president of the Greenwood Chamber of Commerce and is also the general manager of one of the state’s finest upscale boutique hotels, The Alluvian Hotel. Williams’ involvement in the Chamber has run the gamut from committee member to committee chair to board member to now being Chamber President. Greenwood Convention and Visitor’s Bureau (CVB) Executive Director Danielle Morgan appreciates the grace and professionalism with which Williams manages The Alluvian. Williams grew up in the small town of Magnolia and went to Mississippi State University where she earned a degree in business. She met Steve Williams from Greenwood in college, and they got married in 1997. After college Williams had a “dream” job in Jackson. She worked for the Make-A-Wish Foundation of Mississippi as the wish granter and volunteer coordinator for the program that makes dreams come true for sick children. Williams loved the job. After a few years in Jackson, the couple decided to move to Greenwood to be closer to her husband’s family. Williams handled event management at The Alluvian for three years and when the general manager left, Williams applied for and won the job heading up the hotel. Williams is a detail person. Most of the guests staying at The Alluvian Hotel come from what they call the “drive in markets” that are a three-to-four hour drive away. There are many visitors from Little Rock, Ark., Memphis, Tenn., and Tuscaloosa, Ala.
Major draws at the 50-room Alluvian, which has a New Orleans style courtyard in the center of the hotel, are their Viking Cooking School and retail store, Giardina’s restaurant and The Alluvian Spa. Managers of the spa, restaurant and cooking school all report to her. 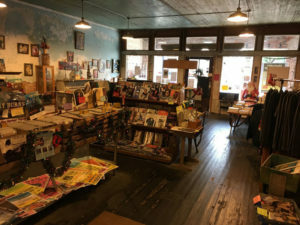 Turnrow is considered one of three great independent bookstores in the state. Others include Lemuria in Jackson and Square Books in Oxford. Some authors make stops at all three bookstores. There are also a lot of entertainment options. The Chamber of Commerce and Main Street Greenwood also have events throughout the year. 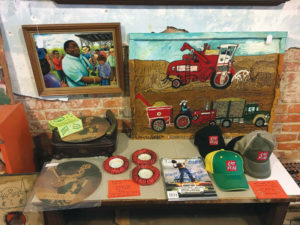 The Museum of the Mississippi Delta hosts several art shows each year. One event hosted by the Chamber of Commerce is the Stars and Stripes Festival, which is held the week before July 4th. People come from all over to participate in the 300 Oaks Race, which includes a 5K, 10K and one-mile run. In August their Bikes, Blues and Bayous is a big attraction. A new program the Chamber is implementing this year is a Women In Business Council. Williams said the program is just getting started, and is designed to give professional women more networking and educational opportunities. The Williamses have three children, Mackenzie, 16, Campbell, 12, and Sam, 7. All are very active in sports and school activities. When she has time, she also likes to play tennis.